This stellar work of wearable art was carefully formed to look like a symmetrical human hand, with the two fingers on each side outstretched, a memento to the likeness of the Israeli cultural good luck 'Hamsa' charm. 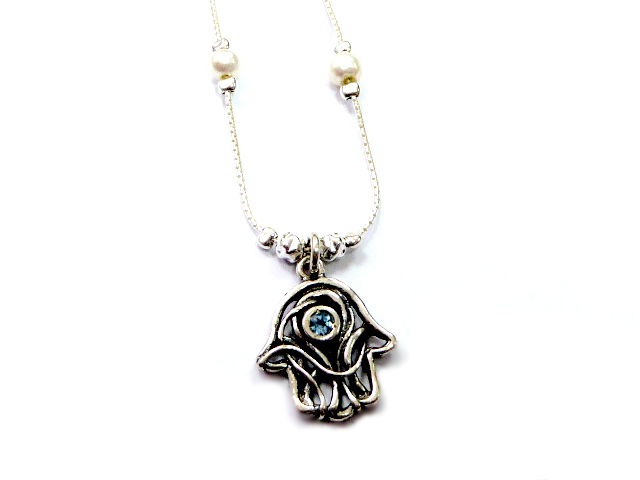 This beautiful necklace was inspired by authentic Jewish tradition, inspiration which made the artist design it based on the “Hamsa” charm legend. Rather than creating a house piece, Shablool Jewelery decided to allow the wearer to carry their piece of Israeli jewelry around so that others could enjoy its beauty as well, to which end he attached this pendant to a simple silver chain with the gentle beauty of two pearls on the chain to be worn near the pendant. Shaped like a symmetrical human hand, the pendant incorporated a dazzling blue gemstone into the palm that symbolizes the Evil Eye, a harmful influence that brings bad luck on people, being blinded by the hand that is covering it. 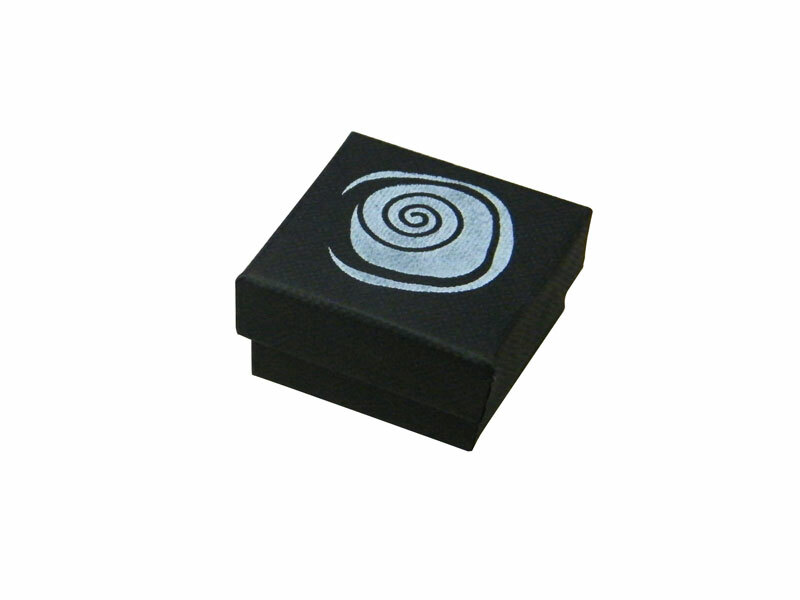 The “shablool” (Hebrew for “snail”) type decoration swirls are the perfect finishing touch to this deep and meaningful sample of Israeli jewelry.